This slow cooker apple sauce is what my older sister and I would call "easy as." (She picked the slang up while living in New Zealand, and I absorbed it by sibling osmosis.) I feel almost dumb posting something this simple, but it's a SWEET recipe to have around and apple season is nigh upon us all, so I thought I might as well put it up for you lovely people. 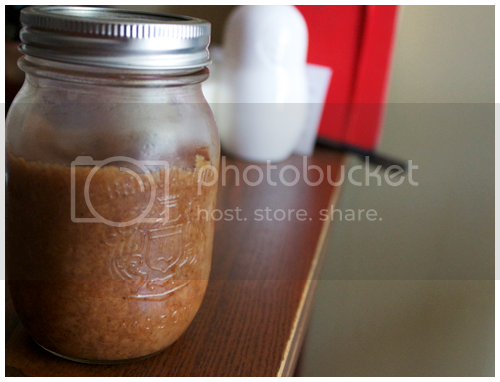 If you don't like eating apple sauce, you can still use it as a baking substitute, in place of melted butter or oil! 1. Put the apple slices in the crock pot. Cover them up and cook them on low for 6 hours, or on high for 3-4 hours. 2. When apples are brown and soft, season them with cinnamon and mash with a potato masher. If you like extra smooth, use an immersion or regular blender!